Chian 15, Nalin 17, Larin 8, Meyede 16, Yara 11, Stervan 7, Nesrin 19. 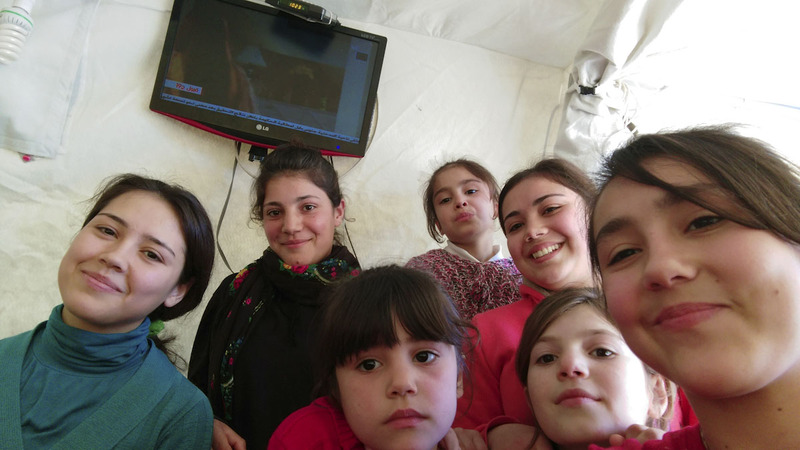 Four sisters and two cousins of the Ismail family, from Kobane refugees in Suruc for the last six months. When they heard the explosions intensify, their family run to the border with Turkey. All the girls were frightened and in shock. The price was high, to get rid of ISIS, the Coalition destroyed the town. Nesrin, the oldest one, was an engineer student at Aleppo university. Some of her friends are also in the camp and often they talk about what is going on in Syria. They hear the news on tv, of how many women are complices of the ISIS. For them this is unesplicable, not even for love one woman could be part of this. They do it only for money, or for the power to kill.